A boy was injured after being involved in a collision with a car on the Bridge Street crossing with Bourges Boulevard in Peterborough city centre. 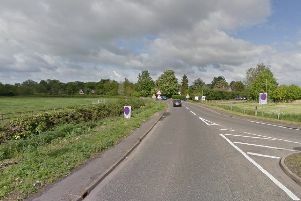 The collision, involving a BMW 320D and an eight-year-old boy took place at about 3.15pm on Saturday. The East of England Ambulance Service sent a rapid response vehicle, two ambulance crews, and an ambulance officer to assist and police were also called. Ambulance crews took the young boy to Peterborough City Hospital for further care. A second patient was also taken to Peterborough City Hospital but ambulance crews said further information was not available at this time. Nobody is thought to have been seriously injured. Police initially closed the road at the Rivergate roundabout. It follows a series of collisions involving pedestrians at the crossing and calls for safety improvements.